Assistant Minister for Defence David Fawcett joined federal member for Grey Rowan Ramsey at the Cultana Training Area (CUTA) to see the construction of the new urban operations training facility and range control facilities. Senator Fawcett said the new facilities would allow the Australian Defence Force to raise, train and sustain the land force and prepare Australian soldiers for operational service through lifelike training activities reflecting current and expected future operational environments. Following a five-fold expansion to 2,100 square kilometres, CUTA is set to become the Australian Defence Force’s largest training area capable of supporting combined arms exercises. Senator Fawcett said, "It is also great to see the majority of this project’s sub-contract packages were awarded to local industry." Ramsey welcomed the investment in CUTA, saying, "By investing locally, we all benefit from supporting local businesses, who employ local workers and encourage growth in the local economy." These facilities are part of a broader $84.5 million redevelopment underway at CUTA. The construction has been underway since mid-2017 and is scheduled for completion in April 2019. 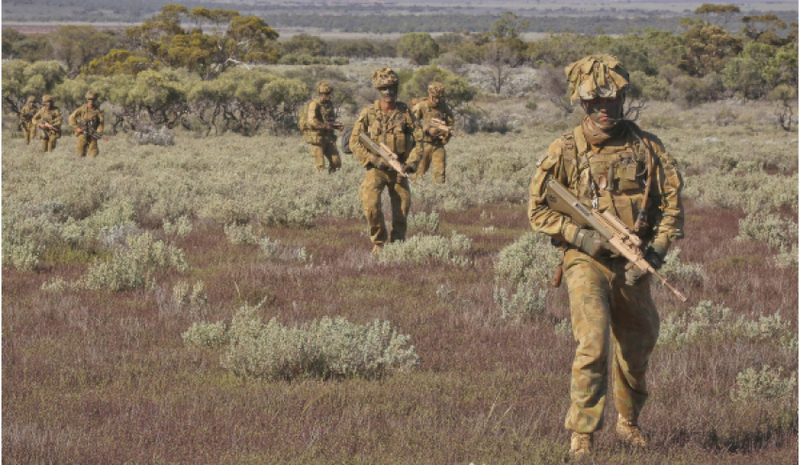 The Defence vision for the CUTA Redevelopment Phase 1 Project is to create a state-of-the-art training establishment in South Australia that enables Brigade level manoeuvre and live firing exercises. An expanded CUTA also offers an environment to conduct future air-to-ground, ground-to-air and ship-to-shore training activities.